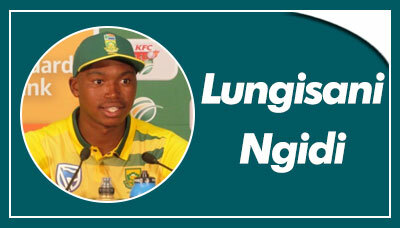 Lungisani Ngidi aka Lungi Ngidi is a South African cricketer, who plays for South Africa national cricket team. He is a right hand batsman and right arm fast bowler. For Vivo IPL 2018, he is playing for Chennai Super Kings. A birth chart (also known as kundli, janma kundali, or horoscope) is a map of heaven at the time of birth. Lungi Ngidi's birth chart will show you Lungi Ngidi's planetary positions, dasa, rasi chart, and zodiac sign etc. It will also allow you to open Lungi Ngidi's detailed horoscope in "AstroSage Cloud" for research and analysis.